We have had a beautiful spring, inviting people young and old to get outside! I, of course, had to get my bike out early and have already taken in some gorgeous days biking. After my #BikeMN52 goal last year, biking 52 different rides in MN, several people have asked for tips on finding places to bike. So today I’m sharing my top resources for finding bike routes…and a little commentary to go with each. #2 – The Minnesota Department of Natural Resources also has a good list, and they note what types of recreation is available at each park. Trail length ranges from 4 miles (Goodhue Pioneer Trail in Zumbrota) to 100 (Paul Bunyan Trail between Brainerd area and Bemidji). If you want to make your ride more than an afternoon outing they have great ideas for adventures. #4 – Know the trail you want? You can also check if they have their own site. Like the Cannon Valley Trail, the Mesabi Trail, Root River Trail, and Central Lakes Trail. Often these sites have more detail, for example if you are looking for housing nearby or places to stop for lunch. 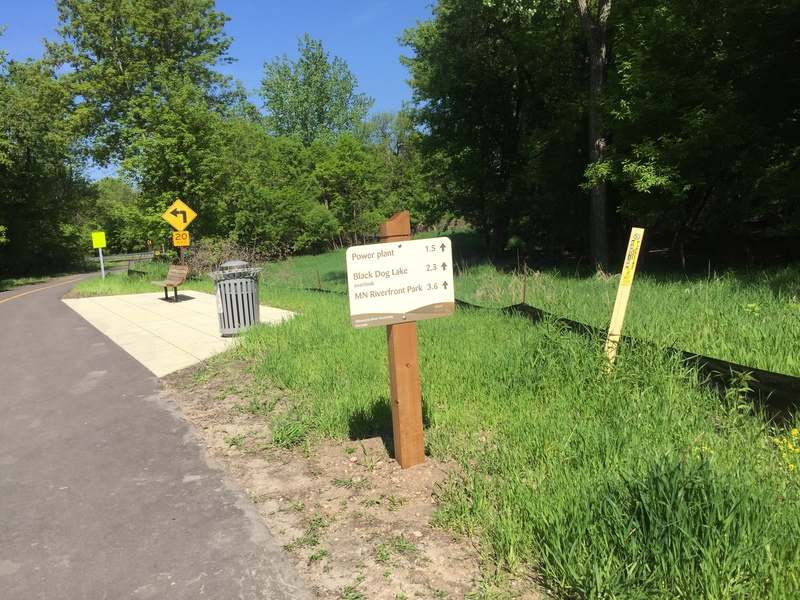 #5 – The StarTribune ran an article last summer and has a nice map for metro AND state trails. And “just in case” I always used my Google maps app on my phone. Just turn on the biking option and it will highlight bike routes and paths. This app helped me do get lost many times! Also – one more resource – I highlighted some of my favorite rides at the end of the summer in this blog. Check it out. If you are interested in following my rides, I’m posting again under #BikeMn53 on FaceBook and Instagram. So, here’s to biking another season! I promised to share some of my favorite bike rides from summer 2016. So on this beautiful fall day, let me share 5 new rides I did this summer that I’d recommend. I could go one, but will stop for now. To see pictures of these rides, go to my Instagram account and search for #BikeMn52. Here’s to memories and anticipating!